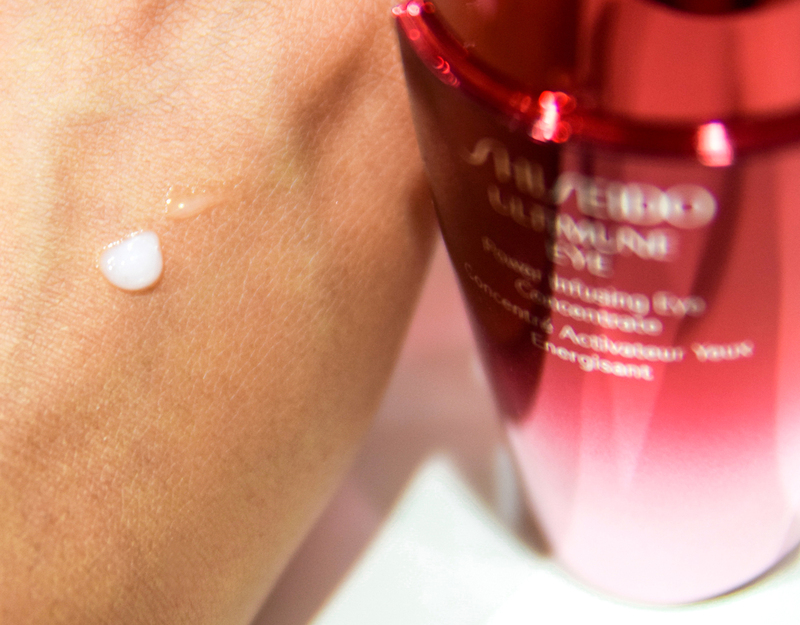 So today is a rather special day for the beauty market, especially within the skincare range for it marks the first anniversary of the the multiple award winning serum, Shiseido Ultimune. 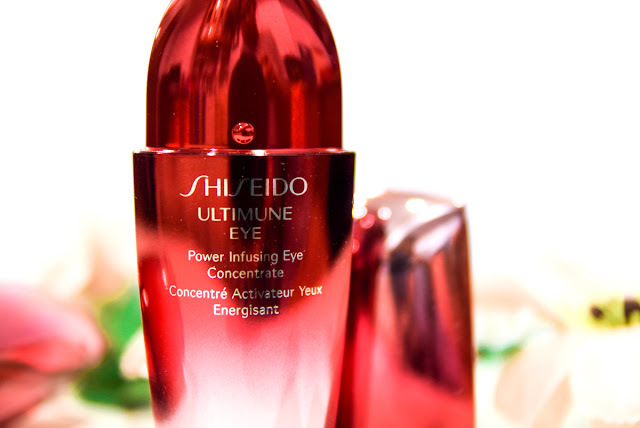 Hence with regards, I am simply beyond excited to share that in conjunction with this eventful affair, Shiseido has finally released its latest power addition to the Ultimune Collection which is the 'Ultimune Power Infusing Eye Concentrate'. 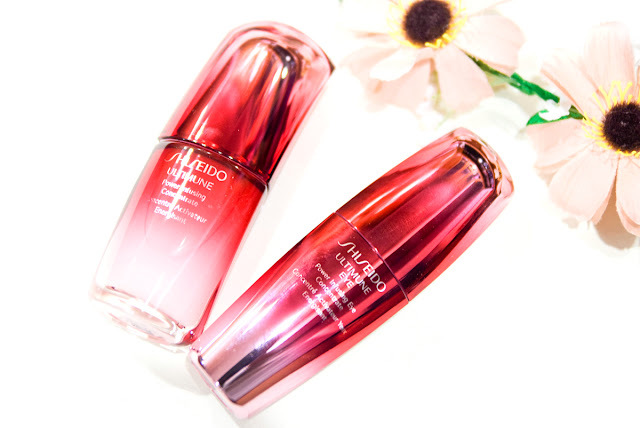 Now seeing that I have been an avid user of the Shiseido Ultimune as it has worked beautifully on my skin for the past year (read entry here) , my expectancy on the Eye Concentrate does in a way level its prior. However before getting ahead of myself, let's take a quick look at its background and formulation first. Now similarly to the Ultimune, the Eye Concentrate consists of the common ingredients of the unique botanical cocktail of Perilla, Ginko and Thyme which has been mentioned in my previous Ultimune post. 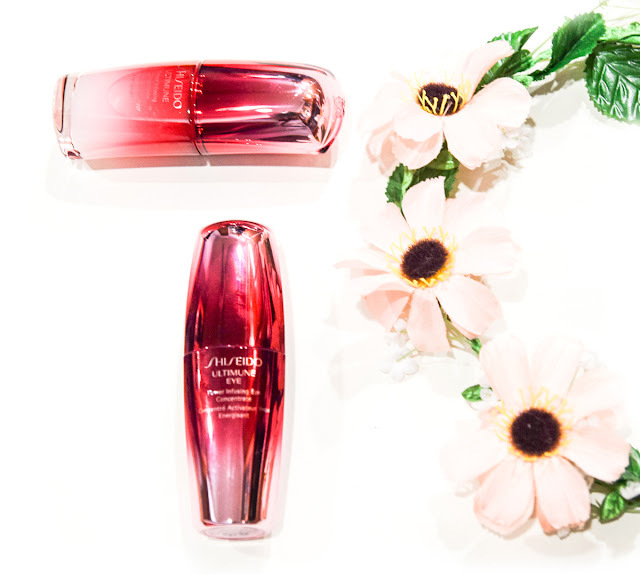 It also has the Ultimune Complex which is the key ingredient that enhances the declined function of detectors in the skin. However what's special about the Eye Concentrate, is that it has an extra powerpack ingredient called the ImuMoisture Extract which restores the declined function of detectors in the skin, enhances the effect of the Ultimune Complex and maintains moisture even under harsh environments. Its a three power combo in one and combined with the basics, it will also enhance the sensor function of detectors in the skin and help prevent the accumulation of skin damaging factors as well. Now what has got a lot of people really hyped about on this release is that with regular use of the Eye Concentrate, there is a significant amount of improvement especially in the fine lines and brightness of the eye area. Hence I myself will be giving it a go and after four weeks, I will be back to do a more hands on review on how the product had fared. 2. 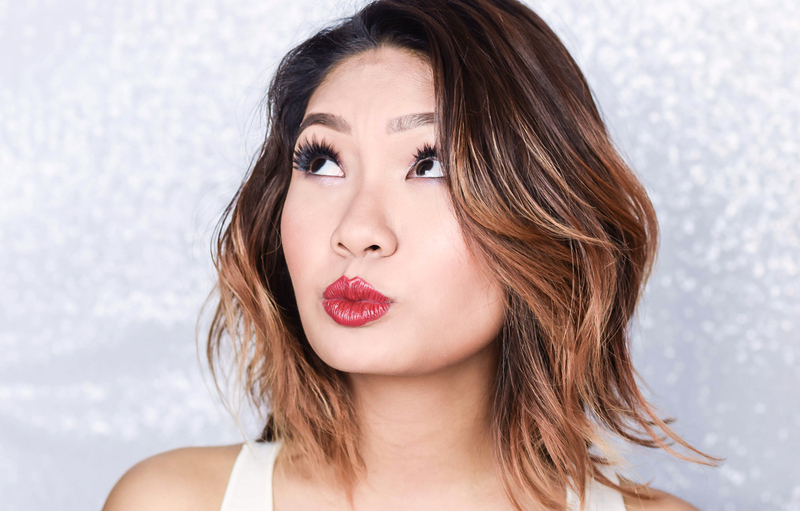 Press the hollow under the beginning of your brows. 3.Massage all the way around your eyes three times. 4. Press in the temples to finish. 5. Glide your fingers lightly under your eyes from the sides of your nose to the temple six times. 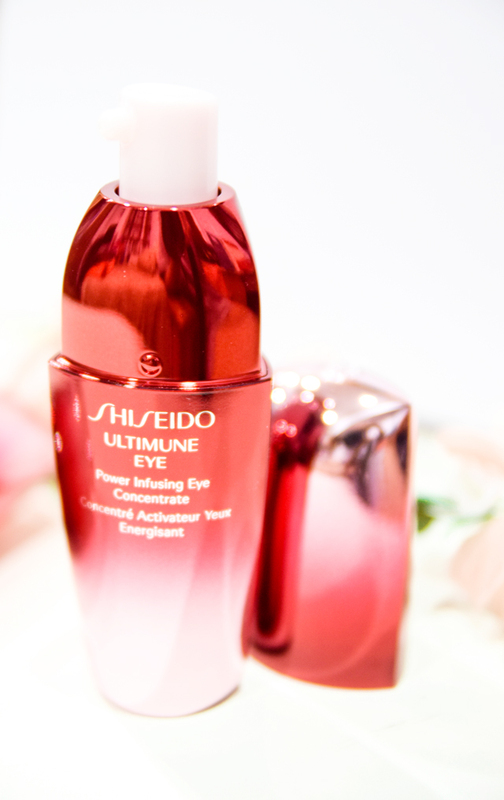 Nonetheless in a nutshell, the Shiseido Ultimune Eye Power Infusing Eye Concentrate does indeed look very promising and on my end, I really can't wait to give it a go. In the meantime, it has already been made available to all Shiseido counters nationwide, retailing at RM249.10 for the standard size of the signature classy red 15ml Ultimune bottle. However if you would like to know on more details, you can always head to their Official Webpage and Facebook Page for further information. I think I'm at that age where I really have to start using eye cream. I guess I just have to find the perfect product for me first. This sounds like a great option. Thanks Patty :) I myself have been sampling this product for a few days now, however once after the four weeks I shall let you know on the results. Hopefully this will work wonderfully on you as well. Hey Jojo, it is a good product especially on those who are looking for something to help with anti-aging.Definitely looking forward to how the results pan out, will keep you all updated soonest. I've been looking for an eye cream to use. I don't see that many lines around my eyes yet but I think I could already use some anti-aging products. This one looks promising. It has a really classy look and it's good that it's generally available now. I've not gone this sophisticated on makeup yet, haha. I understand eye lines, but what do you mean by "brightness of the eyes"? Hi May, well basically it will help improve the dullness and puffiness under the eye area to make the appearance of the eyes more youthful :) Hope this helps. The packaging looks really elegant! Because women are sleeping late lately due to endless responsibilities, eye products are a must to reduce lines and other concerns to make them at least a little younger. Spot on dear :) I agree that the packaging is lovely, got to love that polished metallic effect as well. Do you have some before and after photos upon using the product? I am still eyeing the perfect eye care for my dark circles but until now, I still don't have the perfect candidate which will solve my eye problems. One of my friend is using Shiseido products. The packaging looks elegant and yeh, I guess it is promising.